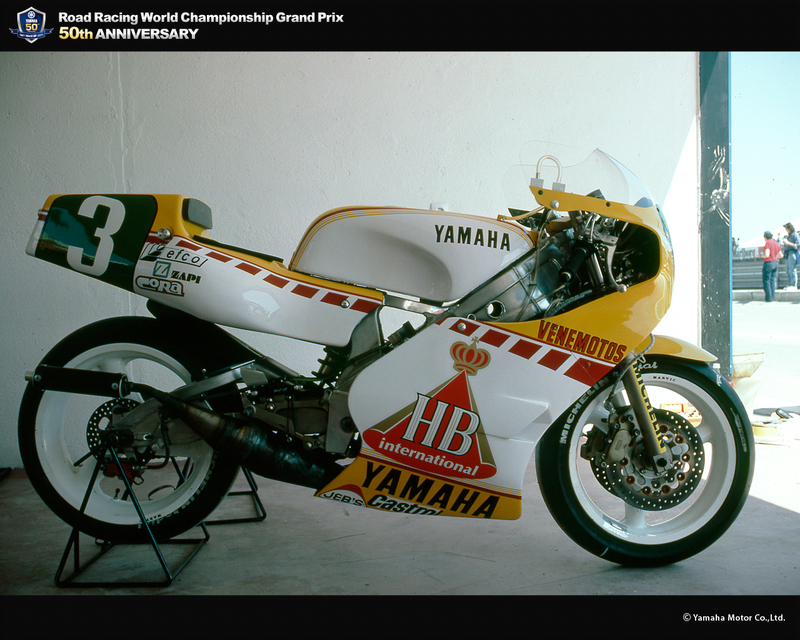 YZR250(0W82） - race | Yamaha Motor Co., Ltd. 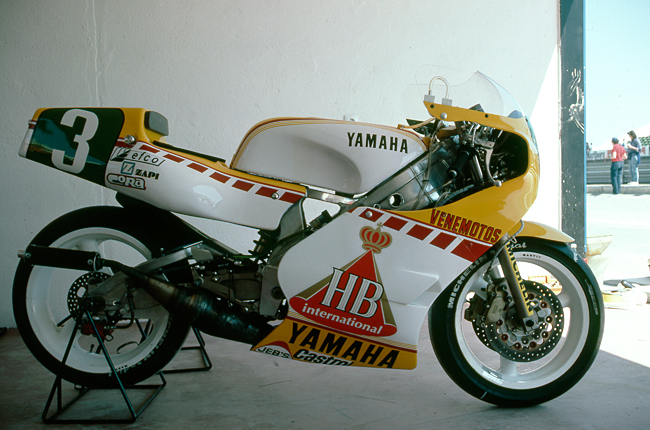 This was not a development of an existing production racer but the first true 250cc class factory machine developed by Yamaha in 13 years, taking an advance twin-crankshaft prototype V-twin developed for the 60-degree bank V-4 YZR500 (0W81) and mounting it on a chassis structure developed with a stress on cooling efficiency. As an engine with simultaneous detonation, for reduced vibration, it had a problem with starting, but with a machine weight of less than 100 kg and a firm Deltabox frame, it achieved outstanding handling performance. 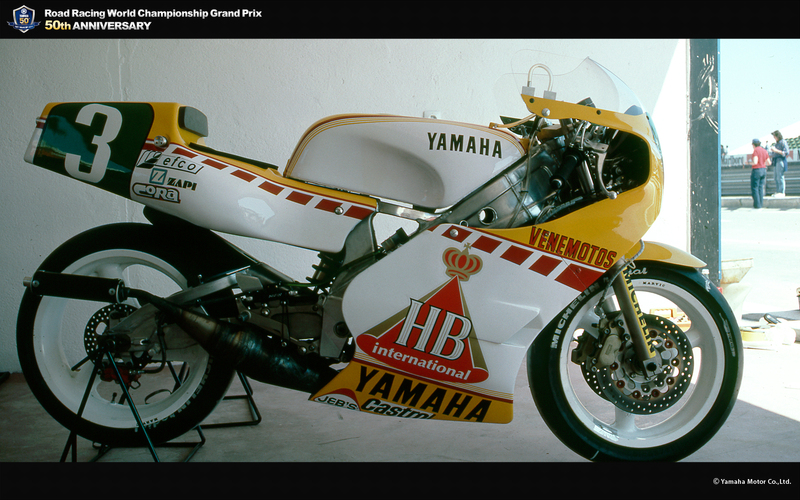 C Lavado rode this machine to six wins in the 1986 GP250 series to take his second World GP title. 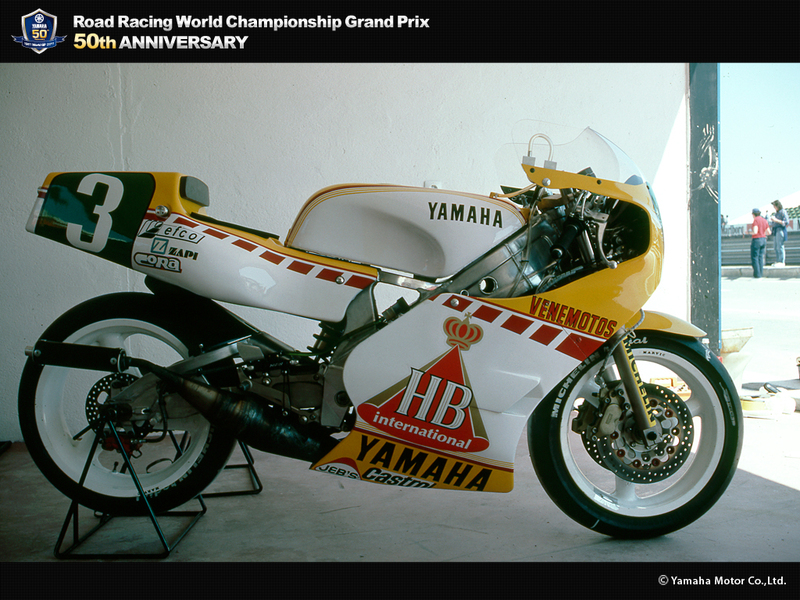 After a big accident in the opening round, Tadahiko Taira came back to win the last round of the season, the San Marino GP.